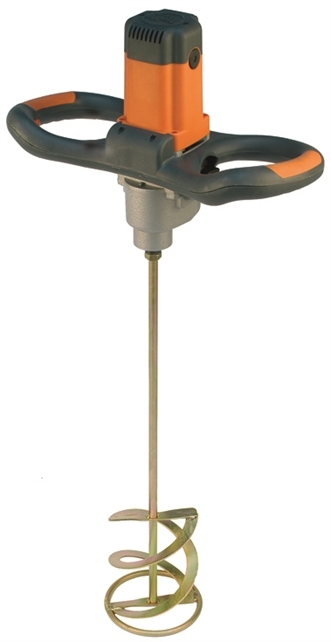 Hand held paddle mixer designed to meet the demands of the professional user. Easy and comfortable to use, this machine takes the effort out of mixing materials like plaster, bonding compounds, paints and adhesives. Two speed heavy-duty high torque gearbox for extra life. Soft-start motor for more control and reduced splashing. Large heavy-duty motor for higher power and more torque.